Dr. Sara Dubois with a baby raccoon at the BC SPCA's Wild Animal Rehabilitation Centre. A team of UBC graduates, led by Sara Dubois, MSc’03, PhD’14, is changing the practice of pest control. Dr. Sara Dubois in her natural habitat. The man arrived within the hour, raccoon in tow. “Is it possible that she’s got babies?” he asked. It had been a late summer and this wasn’t outside the realm of possibility. Ordinarily, the trapper would finish his job by transporting the animal outside of town and releasing it into the wild, but without their mother any kits would likely starve to death, and Dubois was determined to not let this happen. The two came to an agreement: if she could prove that the raccoon was nursing, the trapper would release his quarry where she was caught. But how do you prove an animal is nursing? In mammals, the answer is simple: you milk it. Milking a raccoon is no simple matter, however, especially one who’s not happy about being trapped and transported. “She is strong,” recalls Dubois, “she is mad as hell, and she wants to bite your hand off.” But several harrowing minutes later, Dubois and her colleagues were able to confirm the raccoon was nursing, and, true to his word, the pest control operator returned mom to her babies. Milking a raccoon is no simple matter. 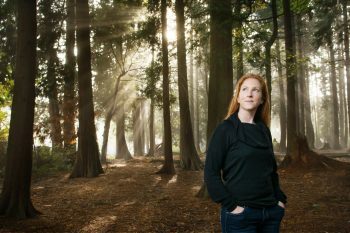 She started with promising co-op student jobs as wildlife biologist with BC’s Ministry of Environment and several NGOs, but her growing interest in improving the welfare of wildlife ultimately led Dubois to her master’s studies in the Animal Welfare Program at UBC’s Faculty of Land and Food Systems (LFS). “It was still very early on in the program and they hadn’t really had wildlife students before,” she recalls, “so I had to really sell it to them.” Dubois went as far as preparing an outline of her research methods and hypotheses, along with an overview of her thesis – right down to the chapter titles. She got in. Her aim was to study the goals, impediments, and attitudes of wildlife rehabilitators in BC, who were generous in providing access to data and open to discussion about how to professionalize rehabilitation practices. Dubois returned to Wild ARC as its manager in 2004. “It was kind of like going home,” she says. “Coming back after my master’s degree to manage that facility was everything I could have dreamed of.” Not one to rest on her laurels, however, she began considering how organizations like the SPCA could support wildlife through better governmental policies and legislation. She returned to Vancouver in 2008 to take a role as manager of Wildlife Services at the provincial SPCA office and two years later began her PhD at UBC. Adapted from “International consensus principles for ethical wildlife control” in the journal Conservation Biology, Vol. 31, Issue 4. Modifying Human Practices: Whenever possible, human-wildlife conflicts should be prevented and mitigated by altering human practices wherever possible and by developing a culture of coexistence. A first response to human–wildlife conflict should be to focus on how human behavior has affected the ecosystem and to address the root causes of conflict rather than only the problematic outcome. Where vulnerable human populations have limited resources, reducing conflicts may also require empowering and improving conditions for people. Justification for Control: The need for wildlife control should be justified with evidence that substantial harm is being caused to people, property, livelihoods, ecosystems, and/or other animals. Potential benefits of wildlife control include protecting the health and safety of humans and domesticated animals, protecting wild animal populations from excessive competition or disease, restoring disturbed ecosystems, and protecting target animals, for example, by moving threatened individuals to safe habitat. Clear and Achievable Outcome-Based Objectives: The desired outcome of a wildlife control action should be clear, achievable, monitored, and adapted based on lessons learned. Ethically defensible decisions to control wildlife require clear objectives and sound evidence that the proposed methods can achieve the objectives. Animal Welfare: Control methods should predictably and effectively cause the least animal welfare harms to the least number of animals. Opposition to wildlife control often arises because of animal welfare concerns related to the methods used, especially the potential for suffering of target and nontarget animals. To apply the method causing the least welfare harm, systematic scientific evaluation of the possible harms is required. Systematic Planning: Decisions to control wildlife should be integrated into a program of long-term systematic management. If control actions are used on an ad hoc basis without being integrated into a systematic, long-term management program, any benefit is likely to be short lived and control actions may be used repeatedly without achieving a sustainable solution. This is particularly problematic if control actions carry substantial animal welfare or other costs. To prevent unnecessary harm, decisions to control animals should be integrated into a plan for systematic long-term maintenance of the desired outcome. Decision Making by Specifics Rather than Labels: Animals assigned labels with negative connotations often receive less welfare consideration than valued species. Decisions to control wildlife should be based on the specifics of the situation, not negative labels applied to the target species. When animals are labeled with terms such as introduced, abundant, and pest, broad approaches to control are sometimes advocated and little attention is paid to the specifics of the case. Wildlife control should not be undertaken just because a negatively labeled species is present. Her doctoral studies focused on methods for ethical wildlife control, which led to a major project to establish a new set of standards and accreditation for the pest control industry. The initiative, now called AnimalKind, began in late 2014 with a grant from UBC’s Peter Wall Institute for Advanced Studies, whose Wall Solutions program provides funding for UBC faculty members to address issues of societal importance through innovative, interdisciplinary projects. 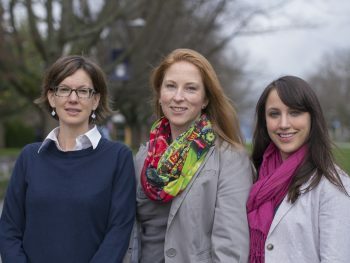 This grant funded the hosting of the 2015 Compassionate Conservation Conference at UBC and the hiring of LFS alumna Erin A. Ryan, BSc’14, as research coordinator with the BC SPCA. Language is a powerful influence, and the term “pest,” she believes, needs to be reevaluated. In the end, conference participants identified seven principles they feel should govern wildlife control (see sidebar for more information). Foremost amongst them is the importance of modifying human behaviour to reduce the frequency with which human-wildlife conflicts emerge. These can range from simple actions – such as discouraging the feeding of animals in public spaces, which leads to increased wildlife habituation and aggression toward humans – to more thorough evaluation of development projects to preemptively identify the effects of animal displacement. When the decision is made to use lethal methods, it’s critical to ensure that animals receive a quick death. Rodents are often dealt with using an anticoagulant poison that causes them to hemorrhage and can take days to kill them. “We would never accept that in a cat or dog” says Dubois. “so why do we accept it in a rat?” She questions why the ethical standards that apply to slaughterhouses, for example, are not shared by pest control operations. Nicole Fenwick, MSc’05, Dr. Dubois, and Erin A. Ryan, BSc’14. This lack of oversight in ethical standards is the reason that, despite frequent inquiries from the public, the SPCA is largely unable to recommend specific pest control operators. “Without auditing those companies,” says Dubois, “without being on the ground and actually verifying their practices, we can’t give out referrals.” That, she says, was one of the motivators for the ultimate goal of her project: the development of an accreditation program for pest control operators, the first of its kind in the world. Subsequent funding from the Wall Centre and the Vancouver Foundation means that AnimalKind will be able to launch its pilot phase later this year. Developed with the assistance of Erin Ryan and fellow LFS alumna Nicole Fenwick, MSc’05, who was hired as the BC SPCA’s manager of Research & Standards in 2016, the program translates the principles established at the Compassionate Conservation conference into testable metrics. It has recently received certification from the US-based Professional Animal Auditor Certification Organization, which oversees other animal welfare accreditation programs. Dubois hopes that the accreditation program will incentivize pest control companies to adopt ethical practices as a means of gaining advantage in business, and, so far, the industry has been remarkably receptive. Looking forward, she hopes to roll out a public education program to help people implement ethical control practices in their own homes and businesses. She gives the example of glue traps: “Homeowners can go to any hardware store and buy glue traps, which is infuriating because we know that glue traps were never meant to kill animals. They were meant to physically contain the animal and then you have to use another method to kill them. But homeowners are not going to step on an animal’s head and kill it, they’re just going to allow that animal to die of starvation or dehydration on that glue board.” Ultimately, she wants to ingrain a culture of coexistence and encourage the public to adopt simple strategies to accommodate wildlife and avoid unnecessary suffering. Learn more about AnimalKind at www.animalkind.ca. I respect your work, BUT…………..how do you deal with skunks? Apparently they were dropped off by pest controllers several years ago and have become a real problem on this island. Good question! I’ll pass on your message to Dr. Dubois and let you know her response. Skunks have an important role in their native environments, but should not be relocated to new areas. If they are now established on the island, their small population will die off naturally, but any future movement of animals onto Bowen should be strictly prohibited and companies should face wildlife enforcement.